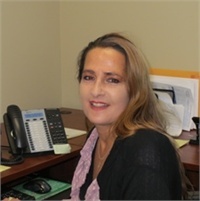 Melissa Mills | IMS Partners, Inc.
Melissa is an expert at processing our annuity applications and works closely with our insurance companies to ensure new policies are set up efficiently and correctly and that transfers move smoothly and quickly. She communicates regularly with our clients, updating them on the status of their application. In addition, she prepares summaries of each client’s investments. Melissa also works with Julie to prepare for client seminars and events. Melissa has been in the finance industry for more than 10 years.